This book provide significant knowledge of Afghanistan's geographical location regarding "New Great Game in Central Asia" in this modern era, demonstrate the momentous of pre-post scenario of 9/11, Radical Islam and Importance of Non-State actors. 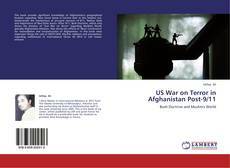 After 9/11, Bush Doctrine, which only shows the decision of "Just War on Terror" regarding Muslim's World specially Afghanistan-Pakistan. Also shows the efforts of "Bonn Conference" for reconciliation and reconstruction of Afghanistan. In this book most important things the role of NATO-ISAF, Afg-Pak relations and perceptions regarding withdrawal of international forces till 2014 or will remain onward.